 Knoxville, TN (Oct. 1, 2018) – Big Brothers Big Sisters of East Tennessee, along with nearly 300 Big Brothers Big Sisters affiliates across the country, unveiled a new, modern look and brand repositioning today. The goal of recruiting more diverse volunteers inspired the new branding. “In our community, we know that youth are facing numerous challenges. Our organization’s new brand is designed to help us ensure we can serve more children in East Tennessee by recruiting more volunteers,” said Brent Waugh, CEO of Big Brothers Big Sisters of East Tennessee. Transition to a new, modern, nationwide technology system. Participate in new training and use the new positioning to refocus efforts on recruiting local volunteers. Celebrate receiving the Big Brothers Big Sisters of America Pinnacle Award, placing the agency in the top 9 of nearly 300 affiliates nationwide. Launch a third year of its Mentor 2.0 program, a technology-enriched mentoring opportunity in partnership with South Doyle High School. Unveil Reading to Learn, a literacy-based mentoring program in partnership with Reading Buddies in the Tri-Cities. This initiative will allow BBBS-ETN to serve 20% more children in Bristol, Kingsport, and Johnson City. Learn more about the new brand positioning, the logo or messaging, or how to get involved at tennesseebig.org/DefendersOfPotential . Share the new look and follow updates on Facebook, Twitter, and Instagram using #BBBSETN and #TennesseeBig. Big Brothers Big Sisters of East Tennessee ignites potential in children through strong and enduring, professionally supported one‐to‐one relationships that change lives for the better, forever. Children enrolled in the program achieve measurable outcomes, including educational success, avoidance of risky behaviors, higher aspirations, greater confidence, and better relationships. This mission has been the cornerstone of the organization’s 47-year history in the Knoxville area. Learn more at tennesseebig.org.